Debras Random Rambles: Restaurant.com's Mobile App! 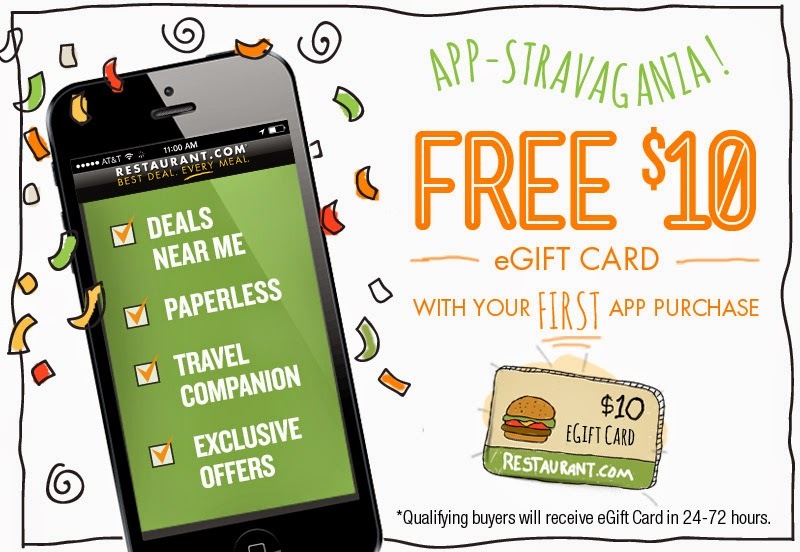 Receive a FREE $10 Restaurant.com eGift Card with Your FIRST Purchase on the Restaurant.com Mobile App!Restaurant.com is offering a FREE $10 Restaurant.com eGift Card with your first purchase on their mobile app! Go HERE FMI!